After a six hour and 20 minute delay during the Daytona 500, the last thing anyone wanted to see was more rain. This is where the Air Titan continues to save the day! The 200-lap NASCAR Nationwide Series race started on-time but was forced to end early when rain moved in with 32 laps to go. 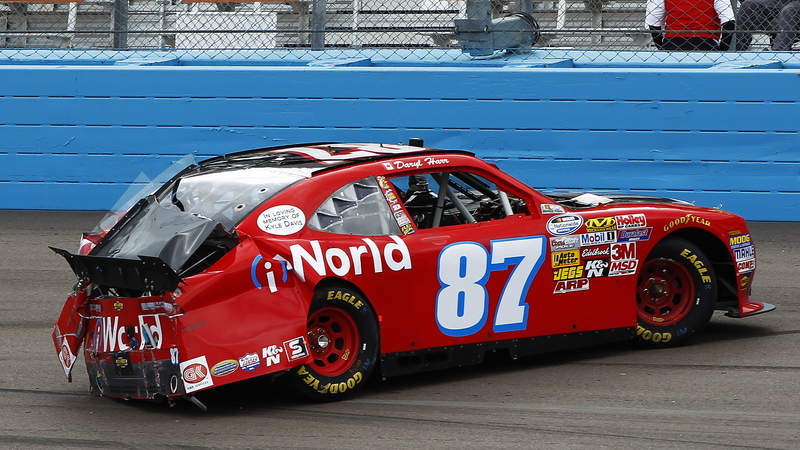 Here are videos from our first race of the weekend at Phoenix International Raceway. Rookie, Daryl Harr gets a little bump from Brad Keselowski when Harr hesitates on which line to take. This spin ended Harr’s night and caused some damage early on to Keselowski’s car. Knowing rain was on the horizon, Ryan Reed gets aggressive and pushes it a little too hard sending his car in to the inside wall SAFER barrier. The race ended on a rain delay with Kyle Busch taking home the trophy. This marks his third consecutive Nationwide Series victory at the 1-mile track.